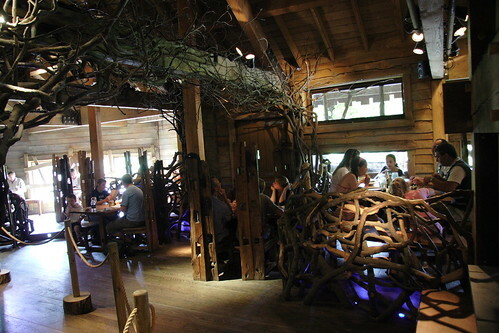 Alnwick Treehouse located on the grounds of Alnwick Gardens, in the town of Alnwick, Northumberland, about 150 kilometres south of Edinburgh, is the latest and reportedly World's Largest Treehouse. The Alnwick Gardens are situated adjacent to the Alnwick Castle, which has been the locale of many famous films and TV serials including Harry Potter's films. The Treehouse having an area of 6,000 sq feet (557 sq metres), soars about 56 feet (17 metres) above the ground and cost about GBP 3.3 million to build. 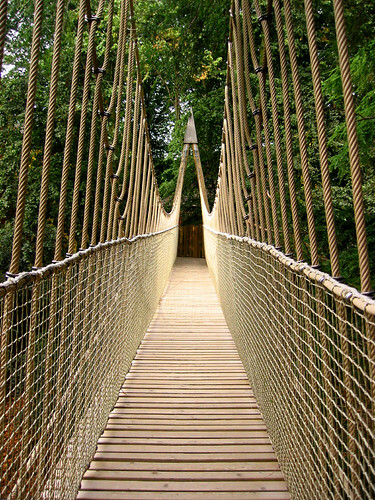 It consists of a main house, having a large restaurant for about 200 persons, two subsidiary treehouses linked to the main deck, a walkway to reach the treehouse starting at ground level, a three-sided partially covered raised walkway through the trees with two suspension bridges and an expansive deck area. 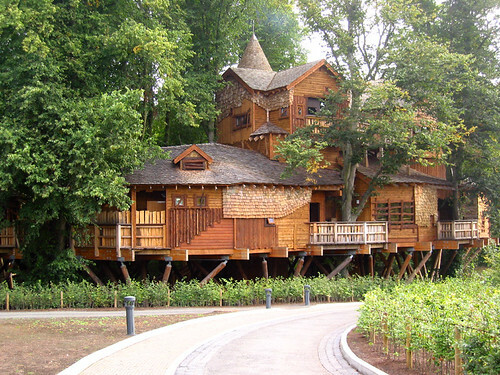 One of the unique feature of this Treehouse is that it is fully accessible by wheel chair. The Treehouse also has a special place for kids, known as "The Roost" - an education room built high in a lime tree which sways gently in the wind. 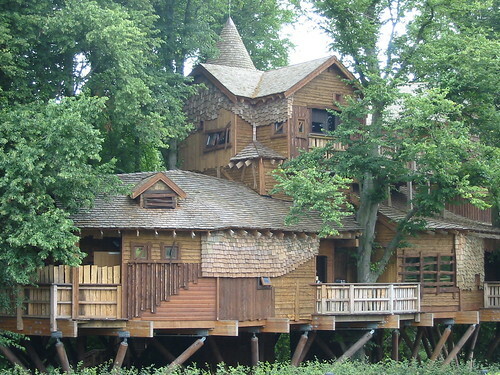 The Treehouse, built in 2005, was designed, by Napper Architects of Newcastle in 2004. Concept drawings were initially produced by The Treehouse Company and the construction itself was carried out by Sir Robert McAlpine, a leading UK construction and civil engineering company. Credits: I am thankful to Umme-Ayaan for bringing this to my knowledge.